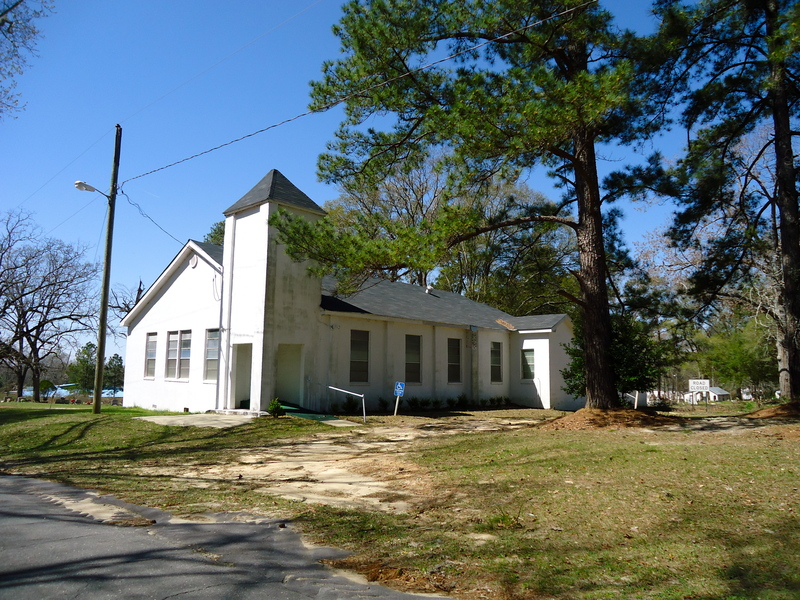 The Old Gessemane Baptist Church sits just down the road from the new one. There is also a ghost road that leads back to the cemetery, it’s short and a bumpy one to travel. You can spot it directly to the left of the church…and the ROAD CLOSED sign just a ways down. This entry was posted in Arlington and tagged Arlington, Baptist, Calhoun County, Church, Cultural Feature, Ghost Road, Incorporated Town, Road. Bookmark the permalink.